Apart from the irritating, clunking sound that the bat was making, the real trouble began when Lillee hit a ball down the ground that went for three runs. 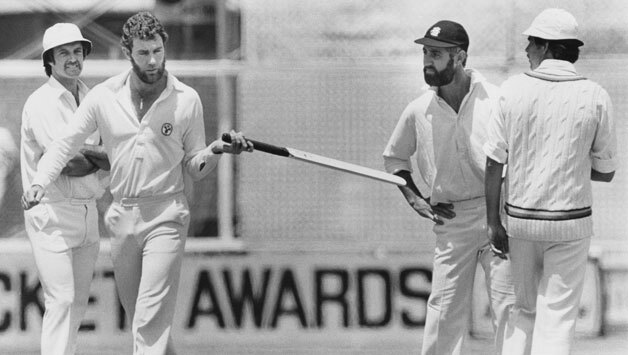 In the Australian dressing room, captain Greg Chappell thought that the ball should have gone for a boundary (four runs), were he using a wooden bat. 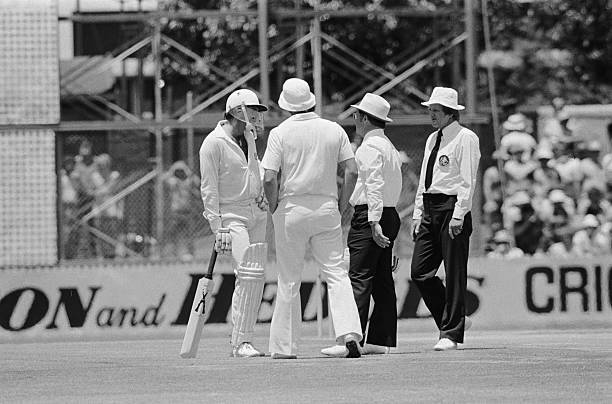 He quickly instructed Rodney Hogg to run to the pitch and deliver a conventional wooden bat to Lillee. Meanwhile, English captain Mike Brearley had also lodged a complaint to the umpires that using such a bat was against the spirit of the game and that it was damaging the second new ball which probably was England's chance of getting back at the host team. While Lillee was stubborn enough to ignore his captain’s request, it miffed the opposition captain to such an extent that he refused his bowlers to deliver another ball. Greg had to rush into the middle of the ground with a willow in his hand to salvage the situation. No sooner was he about 22 yards from Lillee, he heard a whirring noise. Lillee threw "the offending lump of metal fully 40 yards towards the pavilion”. The aluminium bat flew over Chappell's head and landed a few feet behind him. Chappell calmly handed his fast bowler the willow and walked to the dressing room, picking up the piece of aluminium on his way back. Inspired by the way metal had replaced wood in baseball bats, the aluminium bat was the brainchild of Graham Monaghan. 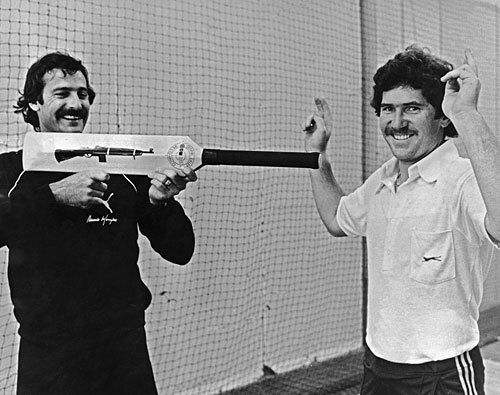 A former club cricketer who was also a close friend of Lillee, Monaghan’s target market for this cheap replacement for the traditional cricket bat was the far less serious field of recreational cricket, schools and developing countries. In fact, Lillee was Monoghan’s business partner. Later he admitted in his autobiography, Menace, that the gimmick was purely a marketing exercise. The brand was aptly named 'ComBat'. After the game, sales of the bat skyrocketed for a few months, before the laws of the game were amended, specifying that bats had to be made from wood.